It’s tough for a twelve-year-old to be rejected and scorned by his peers. It devastates young Stephen. He shares this humiliation with his parents at home. That night Stephen takes a faith-building journey during a dream. He travels through history meeting Jesus, Stephen the martyr, families about to enter the Roman coliseum, William Tyndale, Christian children in today’s Middle East, and others who dare to share their faith. Young Stephen's view of the kingdom and his definition of "Christian" are revolutionized. He awakens and goes back to witness to his world, his trial of faith strengthened by the Body of Christ. 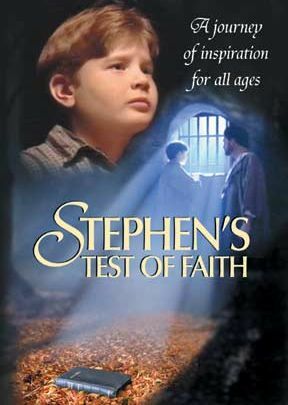 Stephen's Test of Faith is an inspiring challenge to all ages, a powerful tool for Sunday schools, the unsaved, classrooms, your home. This walk with faithful heroes encourages us with their historical call to continue following Jesus Christ when we are put to "the test." Suitable for home cell groups and older Sunday school or Youth groups. Runs for 22 minutes and is excellent to introduce the topics: the Bible historical, the Bible applying it to our lives, appreciation of the Word of God and standing up for what we believe. 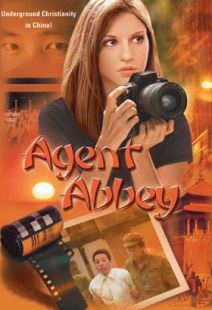 This is an excellent short DVD that is particularly focused on young preteens. However it is also relevant to older teens and adults. It is just the right length to generate discussion without being over powering. This video did an excellent job of introducing a sensitive topic to a young audience. 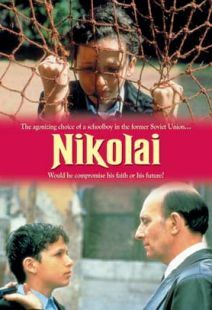 This movie is a very appropriate way to introduce the concept of persecution to a young early elementary audience. Our church offered this during the simulcast of Love Costs Everything to protect the innocence of youngest members as alternative viewing option while parents got the bigger more detailed picture. I highly recommend this video to parents. This is a very powerful tool to strengthen our children's faith and to stand firm when their faith is tested . Excellent for children to guide them into not feeling ashamed of the Gospel of God. My 5 year old loves it and it has encourage him even more to stand firm in JESUS.